I’m happy to announce that I’m a Positivity Ambassador For The California Milk Processor’s Board! I’m looking forward to help spread the message of the importance of drinking milk and how it helps sustain a healthy body. Let’s face it, a healthy body leads to a body that feels good, and a body that feels good, usually leads to a person with a more positive outlook on life. Now who wouldn’t want that? Besides the obvious benefits of milk such as its high calcium levels, which we all know or should know contributes to healthy bones and teeth, my family and I love milk for many other reasons too. The first reason why I love milk is because it’s a great part of a woman’s beauty regimen! Like I said, milk contributes to healthy bones and teeth, so of course this means it helps you get a more beautiful smile, but did you know that milk’s protein helps contribute to beautiful hair too? The combination of milk’s calcium, protein, lipids, vitamins A and B6, biotin, and potassium helps to make your hair shiny and smooth. 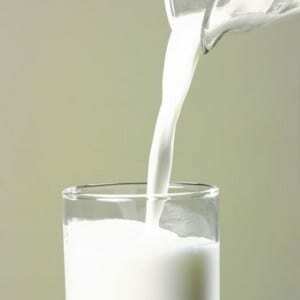 The protein in milk also helps your skin to look smoother too and overall much healthier. Woman have gone as far as even using milk in milk baths to attain these benefits, I’m definitely going to have to try that one! The protein in milk also contributes in helping you get a better night’s sleep and getting a good night’s sleep is a huge factor to staying healthy and beautiful! People don’t call it “Beauty Sleep” for nothing! My two-in-a-half year old daughter still loves to drink warm milk before bed, it truly helps to soothe her before she goes to sleep at night. Now my husband loves milk because he simply just loves the taste of it. He jokes that as a kid he could guzzle down huge glasses of milk within seconds. I don’t think his mom could keep the refrigerator stocked up with enough of it. Today as an adult, my husband enjoys going to the gym and because milk is low in calories and is such a great source of protein he can drink it knowing that it will help repair his muscles after a good work-out. Just so you know my husband refused to let me take a picture of him with his shirt off and with the glass of milk he likes to drink after one of his workouts, so I had to post a picture of this model instead. I’m sure you ladies don’t mind though, right? So as you can see the benefits of drinking milk goes on and on. 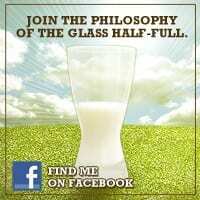 I encourage my readers to drink three glasses of milk a day and see how it benefits you! I also would like to introduce to all of you the “Master of the Glass Half Full” a.k.a. Maestro del Vaso Medio Lleno. He’s quite a character and what I like to call, the Mascot of this positivity, milk campaign. You can also follow him on Twitter and get your daily glass of positivity/positivism from him at @maestropositivo! Also join him on Facebook! This is part of a sponsored campaign with the California Milk Processor’s Board and Latina Mom Bloggers.